Surely you know how useful avocados are. This fruit is now very popular on Instagram. There you will find a huge amount of toast with it decorated with lots of tasty additives. 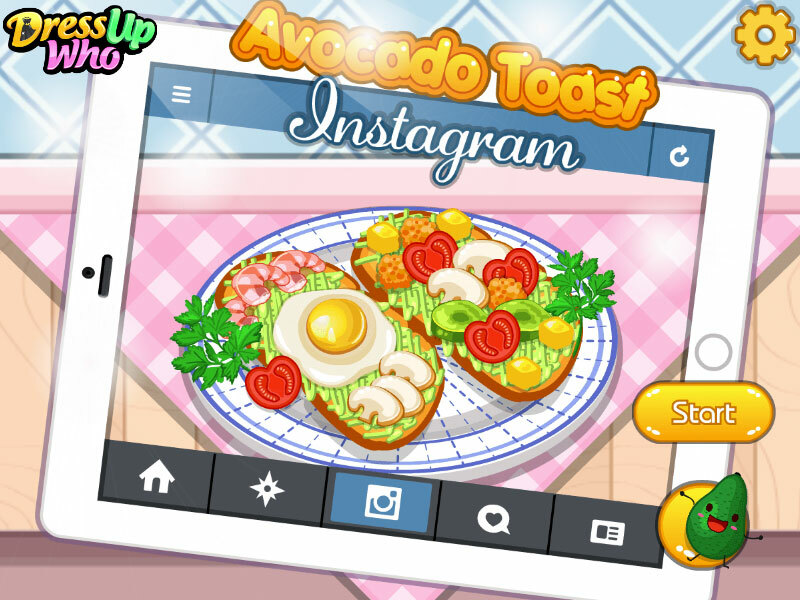 In this game, you will cook delicious avocado toast, and then take a photo for Instagram. First, you need to thoroughly wash it, remove the peel. Next, you need to grind it grated to the state of porridge. Now it is the turn of delicious toasts. On them, we spread the avocado paste using a knife. Then begins the no less interesting stage. We will pick up the ingredients for the toast. These can be fried eggs, shrimps, salads, tomatoes, games and anything else you wish. Add them to your taste and make a couple of delicious photos to post them on the social network. Played: 1233. Added: 22-03-2019, 09:49. Avocado Toast Instagram cooking game. Wash the avocado under water.